Low intensity workout: flexibility, balance, and light cardiovascular training. Active members of the military and veterans are invited to participate in Hydrorider for free. For more information, please contact Eric Poniatowski. eponiatowski@jccbuffalo.org (716) 886-3172 x 411. Twenty minutes of three exercises: hydrorider, swimming, and running. Running will be in the pool. Please arrive 15 minutes before the workout to set up your bike. An introduction to the fundamentals of swimming. 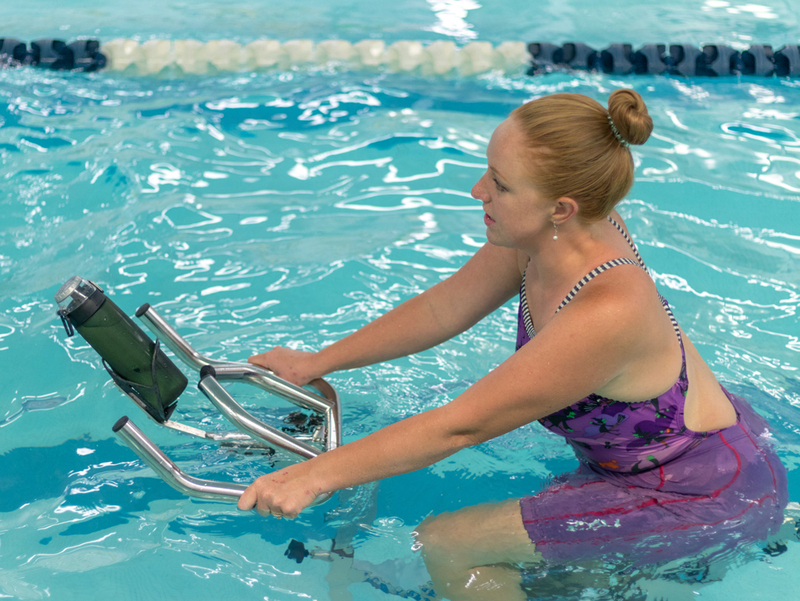 You’re never too old to learn to swim, perfect for adults fearful of swimming. High intensity muscular endurance and cardio vascular training using styrofoam dumbbells.